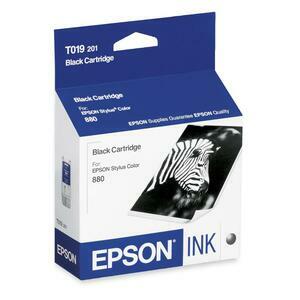 Black ink cartridge is designed for use with Epson Stylus Color 880 and 880i printers. Features quick-drying, acid-free black ink with superior resistance to bleeding and smudging on all media types. Yields 900 pages.